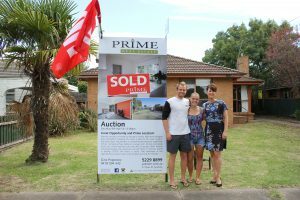 Another great auction Gina and another Prime Result! Congratulations to the successful bidders Joel and Gemma and a big thank you to our wonderful vendor! Thank you to everyone who attended today’s auction! Next: Let’s do it Again – Mother’s Day Classic 2017 on Sunday 14th May!